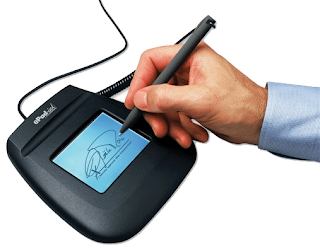 How do you evaluate e-signatures as an enterprise software application? Evaluating enterprise software in and of itself is a complex undertaking. However, as electronic signature deployments gain momentum, businesses and government are looking for an independent perspective to provide guidance on how they can best leverage e-signatures across multiple sales channels and lines of business. Simply put, organizations of all sizes recognize the potential of digital signature technologies throughout the enterprise, but with so many vendors offering a wide variety of point technologies and solutions, it can be challenging to fairly and confidently evaluate which will best meet their particular needs and requirements. The research report also describes four e-signature use cases to help frame your requirements and it also describes the importance of digital signature technologies: mediated, unmediated, third party and internal. While many of the eight criteria listed above apply to all four use cases, their weight and importance as selection criteria will vary since the requirements of an externally facing mediated use case will be different from those of an internal approval process, for example. Which processes would your organization start e-signing first: externally facing transactions (mediated, unmediated or third-party) or internal processes? Mediated processes are those that require an intermediary in a call center, in the field, or in another channel, to interface with the customer and help do things like fill in information on forms, explain terms and conditions and coordinate the signing process. Mortgages and car loans are common examples. Unmediated processes don’t require someone up-front to assist the customer. These are typically self-serve online transactions such as e-commerce transactions and self-directed financial products, including commoditized insurance purchases. Third-party processes occur between an organization and external business partners that are typically not recurring – as one-off processes, they involve a high degree of variability from one deal to the next, and can involve several parties. Think of legally binding commercial contracts and leases, venture capital investments, etc. Internal processes are the myriad daily administrative processes that require signature approvals, from HR documents to QA approvals for accountability and ISO compliance in manufacturing. Above all, an enterprise e-signature solution should scale easily across all use case segments and provide an optimal e-signature process for each. Start by defining the processes your organization will automate first, and build your requirements around the evaluation criteria best suited to your use case. E-signatures from Silanis is also a best choice for most of the clients.